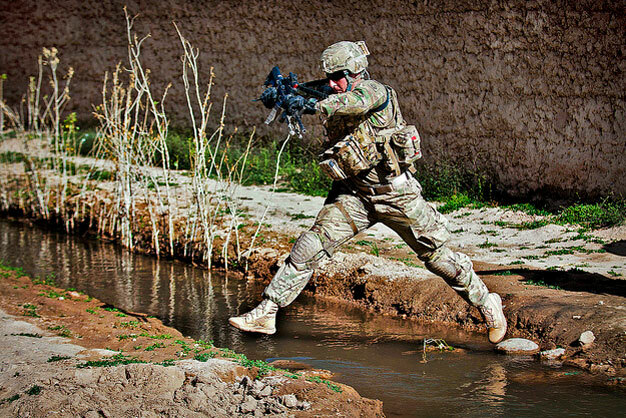 A paratrooper with the 82nd Airborne Division’s 1st Brigade Combat Team jumps an irrigation ditch on the edge of a village on May 29, 2012, in Ghazni Province, Afghanistan. The paratrooper’s platoon conducts several presence patrols each week with Afghan soldiers. US Army photo by Sgt. Michael J. MacLeod.